The Varnelli is a unique product and the original, which enhances the mediterranean tradition of anise-flavored liqueurs and is appreciated both in Italy and abroad, for its dry taste and decided that makes it very pleasant in many uses. Varnelli, the expression of the anise in the pure state: in tasting you enter the world of a "special taste", difficult to describe in words. For this reason, his label carries always a phrase coined by Antonio Varnelli: "To me preferir just a taste". Half of spoon of Varnelli in an espresso or barley is the most common and traditional to enjoy the Varnelli: the ideal correction that does not alter the taste of coffee, but rather complements it and enhances it. Added to the water, which gives it a pleasant and characteristic opalescence, is a delicious and effective thirst-quencher. The Varnelli is a true master of conviviality. There are those who love smooth, ambient temperature, those who drink it iced, who enriches it with ice cubes. Gives vivacity and surprising pleasantly in many cocktails and long drinks. The protagonist in the combinations with the cigar and the chocolate, is presented by the company in the tasty Shot of dark chocolate. The intrinsic value reveals a special on ice cream, on fruit, sorbet and in many uses in pastry and cuisine. Very used in pastries, it is surprising in pairing with the savoury ingredients, to which it gives its unquestionable personality, not to soar above them, giving rise, therefore, the interest of important chefs who choose the Responsible for their recipes of success. Color: Clear, brilliant, transparent, with bluish reflections. Smell: intense and persistent aromas of aniseed develop later fragrances of fennel, dill and cumin, enriched with floral scents. Taste: Very hot-great body, dry, semi-sweet, you can feel the intensity and persistence of the aromas detected in the examination of olfactory direct: aniseed, cucumber and wild fennel. Leave it to the final, harmonious, index exceptional-quality, leading to continuous feelings of pleasure. 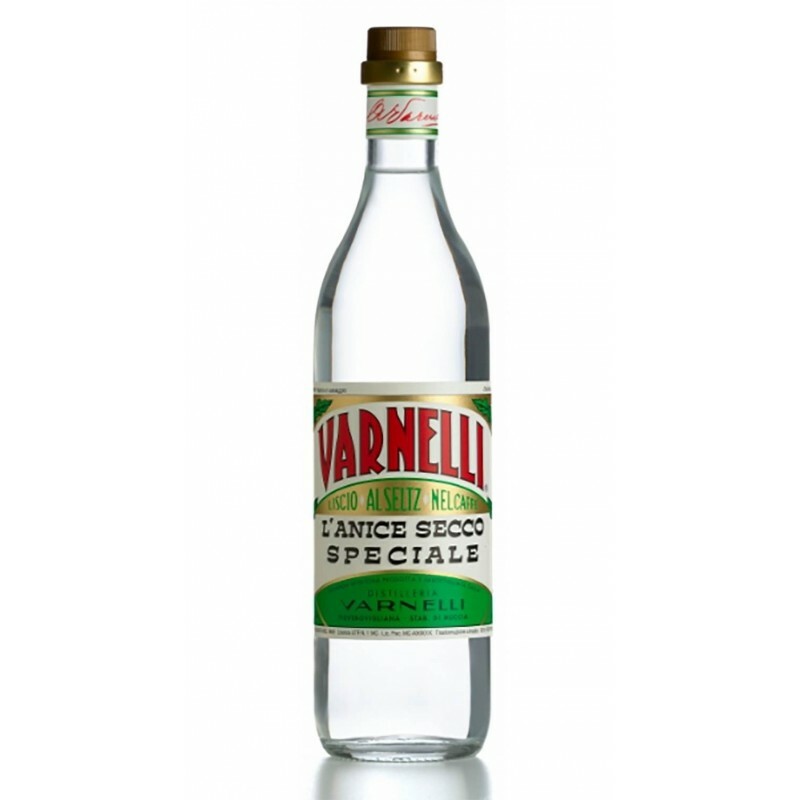 Final considerations: The decidedly dry taste of the Varnelli makes the product versatile as an aperitif or after a meal, or stretched as a long drink. How to Serve: Famous as “the sovereign corrective of coffee”, is excellent also in the barley. It is drunk neat or with ice and is very versatile in cocktails and long drinks, on ice cream, on fruit, in the kitchen. The protagonist in the combinations with the chocolate or with the cigar. Added to the water, which gives it a pleasant and characteristic opalescence, is a delicious and effective thirst-quencher. Very good with the crushed ice, sorbet and Shot of chocolate.